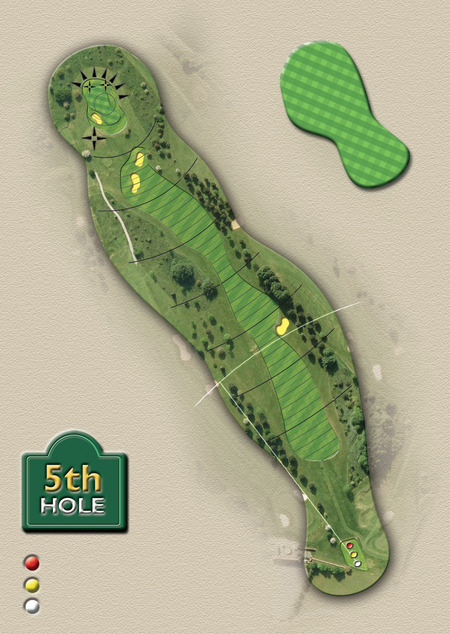 Hole 5, the first par 5 and the longest on the course. From the tee, it is essential to get a long drive away – but be careful your drive doesn’t trickle into the bunker on the right which juts out from the rough. With trees either side of the fairway, your second shot needs to be accurate – making sure you lay up ahead of the 2 deep bunkers which lie across the fairway. You’re then in position for your 3rd shot – your approach shot into the green. 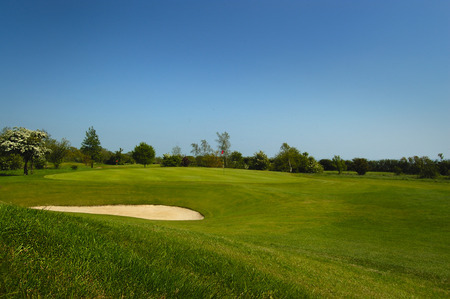 The green itself is guarded by deep bunkers to both the left and right – so aim for the heart of the green.